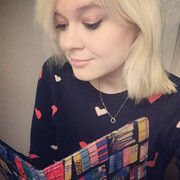 Hello Cara…A massive bookish welcome to Bookaholic Confessions! Thank you so much for taking the time to appear on my blog. Would you like to start by introducing yourself? I live in Oxford , not far from where Close to Home is set, so it’s ‘close to home’ in every sense. I studied English at university, and this is my first crime novel. It’s a whole new world for me, and I’ve been overwhelmed and thrilled by the response the book has had so far. 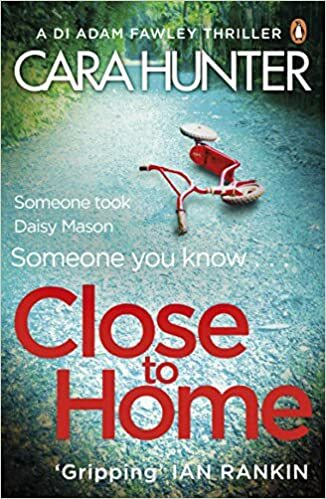 I am SO excited about reading Close to Home (released December 2017 with Penguin), it sounds incredible! What was your inspiration behind the story? I hope it lives up to your expectations! As for the inspiration, I think everyone can relate to the idea of losing someone. The pain of not knowing what happened, and the guilt of feeling that perhaps you were somehow to blame. And all those feelings and fears are intensified ten times over when it’s a parent losing a child. It’s no surprise that so many books and dramas have taken this as a theme, either in terms of solving the crime, or exploring the emotional consequences, as Ian McEwan did so movingly in The Child in Time. Is your lead character DI Adam Fawley entirely fictional or is he based on anyone in real life? He’s definitely not based on one single person. But every writer draws on their own experience to some extent when they develop a character. You take a feature here, a smile there, a sense of humour somewhere else, and it all comes together in someone new. And it’s astonishing how ‘real’ that person becomes, especially if you write about that character in more than one book, as I have with Adam Fawley. How did you go about doing any relevant research for Close to Home? I started with desk research. There’s so much you can do online now, whether it’s legal procedure or the grisly details of forensic pathology. That was enough to get me started on the story, and I followed that up by consulting some real experts in specific fields. My ‘pro team’ now includes a Detective Inspector, a CSI, a barrister, and a forensic psychiatrist. They help me ensure the book is as accurate and up to date as I can make it, but they’ve also taught me a huge amount along the way too. I’m very lucky to have such a superb team. Will we be seeing more of DI Fawley in the near future? Oh yes! I’ve written book two (In the Dark, out in July) and I’ve done a first cut of book three. And I hope there will be more after that. At some level, definitely. I think everyone who studies literature wants to write themselves. But it only became a burning ambition quite a lot later. What’s the best thing about writing thrillers? The readers! Seriously – I have the most immense admiration for how well informed crime devotees are. You can’t get away with being sloppy with an audience as sophisticated as that. Which makes it even more special that so many of them have responded so enthusiastically to Close to Home. And finally can you tell us a bit about what you’re up to at the moment…? I’m doing my proofs for In the Dark! Not long to go now…! A huge thank you to Cara and to Poppy at Penguin. Just this minute finished 'Close to Home. 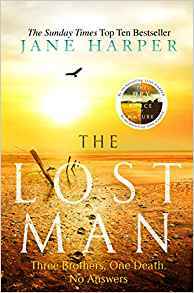 Loved every page and kept me gripped till the very last page! Already pre-ordered 'In the Dark' and can't wait for it to be delivered.